Dezavo will celebrate its first birthday on next September 1st, 2017. We have been through a very long process through these time although we can say its still nothing for a fast growing company as Dezavo, we still need an extra ordinary work, effort, dream to make Dezavo dream come true! 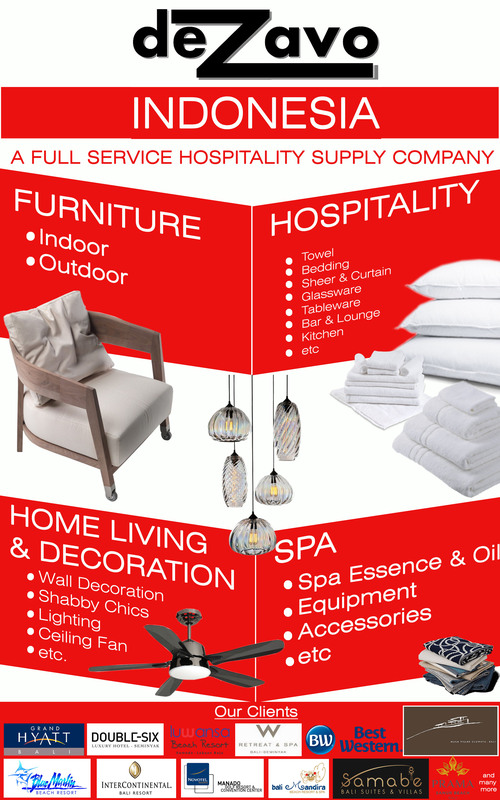 Dezavo dream is to be biggest world hotel supply company and working based on fairness. Why do we always talk about fairness? because we all human, we knew that business its all always tend to talk about profit or money but we are not. We care about our suppliers, humanity, society and of course our universe needs. To be success is not about earning huge profit but how do we get through the process and pass it. But, learning process is never ending story. In this learning process, we are doing some review of our business. And during the process Dezavo Indonesia will announce that we will focus on supplying hospitality industry. We appreciate all the outstanding work of our team who worked very hard to build a strong ladder for our successful year! And we do hope we can growing better for the next coming year and on. We wish everyone success and happy! Older PostIndonesia Ceramics, Why Not?